Every year a report is published called Government Expenditure and Revenue Scotland (GERS). 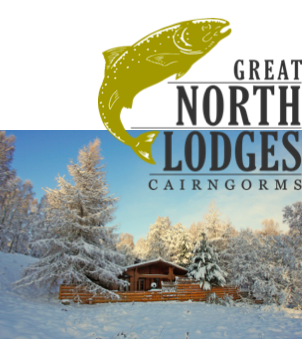 It is important for people to understand that GERS is published by the Scottish Government as part of a set of UK regional accounts and uses the accounting assumptions set by the UK Government. It does not therefore indicate, in any way, what the finances of an independent Scotland would look like, but rather what Scotland’s finances look like within the UK. This is because there are significant additional costs applied to Scotland’s expenditure, as a population percentage share of UK Government expenditure, that an independent Scotland would not be required to bear. Look at those costs as a UK membership fee that Scotland has to pay, a bit like the EU membership fee – except that the UK costs are hidden and create the wrongful impression that Scotland’s economy, were it independent, would run a deficit. GERS is a set of regional accounts for Scotland as part of the UK and not a set of accounts for Scotland as a separate nation. 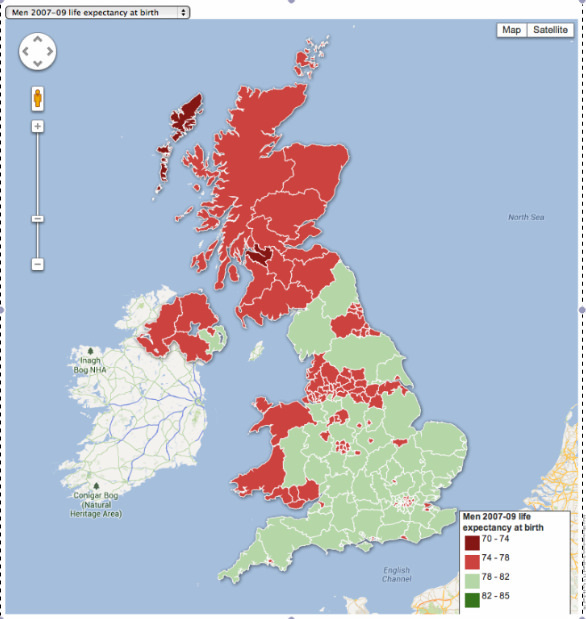 That impacts on how the GERS figures are compiled and so is important to know for two reasons: 1) It means that several UK-wide costs are applied to Scotland’s expenditure in GERS which are not controlled in Scotland or by the Scottish Government and therefore many of the major Government expenditures reported in GERS are actually under control of the UK Government. 2) Those costs are nominally applied to Scotland’s GERS report as a population percentage of the UK’s expenditure, regardless of where the expenditure was generated, which Government generated the cost, or where the benefit of any such expenditure accrues. To explain this in simple terms let’s look at just one of those UK costs applied to GERS and how it single handedly created the entire illustrative Scottish deficit. 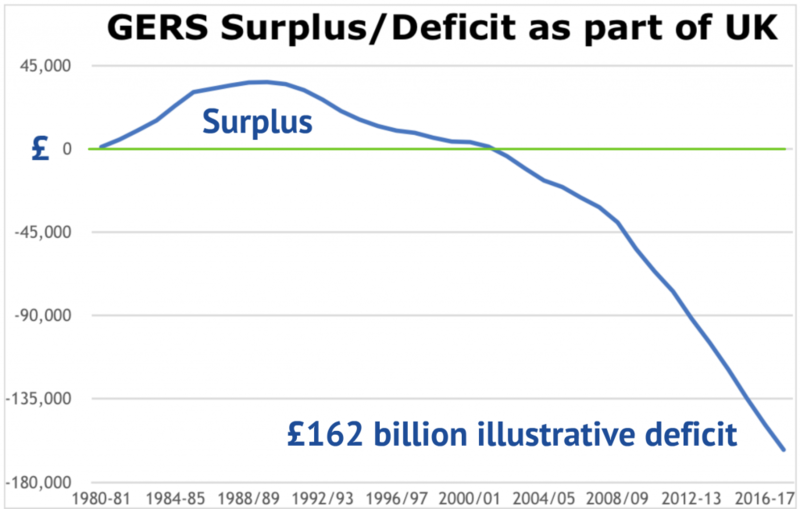 I use the term “illustrative deficit” rather than an actual deficit because the deficit figure and past surpluses in GERS are illustrative of Scotland’s finances as part of the UK and not in any way indicative of what they would be if Scotland were independent. Nor even if Scotland had full fiscal autonomy through a federal system like the one Labour occasionally pretend to be interested in. So how does an oil-rich nation with a strong and resilient onshore economy, booming exports, a highly educated and skilled population and strong key economic sectors such as tourism, food and drink, finance, world class universities, low unemployment, and strongly emerging industries such as biotech and renewable energy end up with a set of accounts that suggest it’s a failing economy? 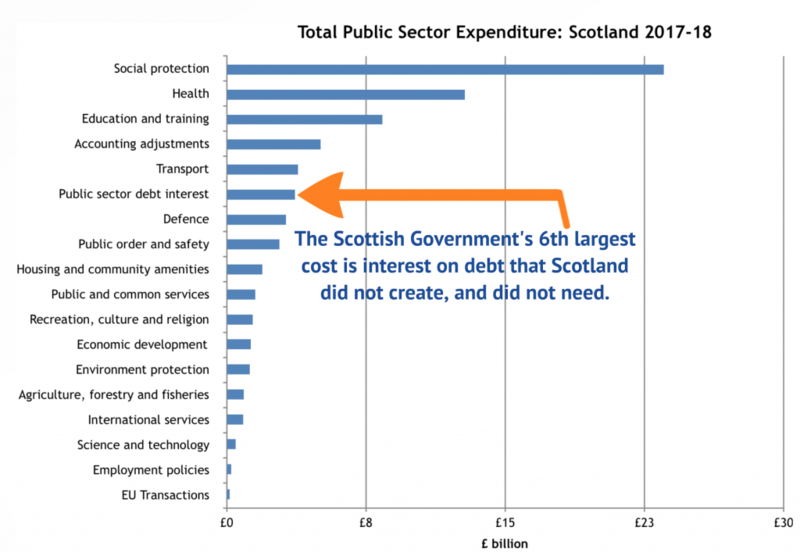 Well, there is an expenditure line in GERS called “Public Sector Debt Interest” and analysis of historical GERS reports demonstrate that every year since records began Scotland has been paying interest on a population share of the UK’s debts. That in itself is interesting because the Scottish Government has only recently been granted some highly limited borrowing powers. 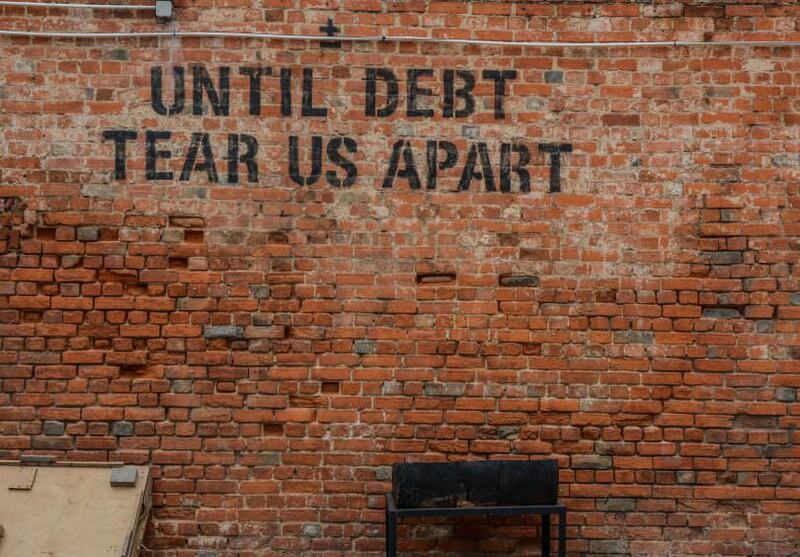 So how does a nation without the ability to borrow end up paying interest on massive amounts of debt? This is because the allocation of that debt is not related to what UK region or nation that generated the debt nor where the money was spent, it is simply the UK’s debt allocated to Scotland. If we look at Scotland finances over the 38 years we have reliable records for, Scotland’s share of UK debt interest amounted to a staggering £89bn. However, analysing those figures also demonstrates that had Scotland been an independent country, its borrowing requirement over those 38 years would have been zero. So Scotland’s government has had to pay £89bn (eighty-nine thousand million pounds) of interest on debts that Scotland did not generate, nor benefit from, simply because it is not an independent nation and had to chip in to service the rest of the UK’s rising debts and without that £89bn Scotland would be in surplus. If we look back as far as reliable historical figures for Scotland’s revenues and expenditure go we can see that in 1980/81, before the UK debt started to spiral, that Scotland was charged £845m to service the UK debt, but despite that managed to record an illustrative surplus of just over £1bn. Indeed, Scotland’s finances showed a surplus till 1990, when the cumulative surplus amounted to £36bn (even with UK annual debt charges). What’s the dumbest thing Scotland could have done? 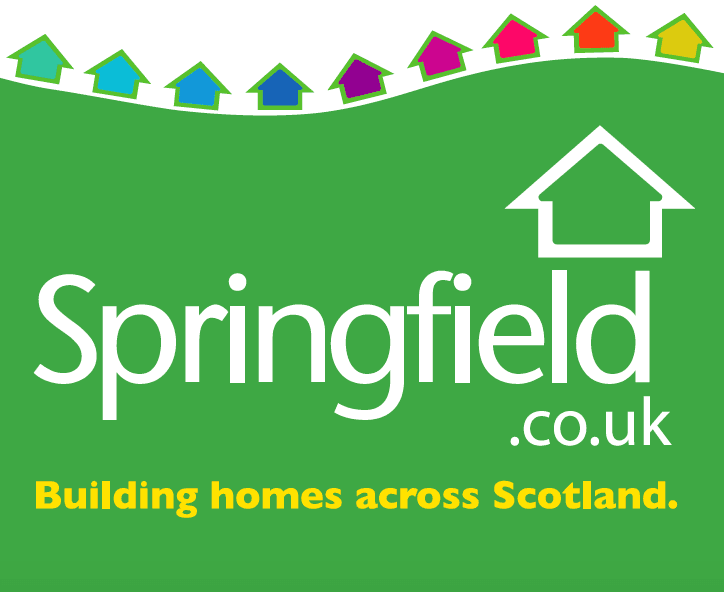 Scenario one – “What actually happened” – Scotland was part of the UK and so Scottish surpluses went to the UK Treasury, and no-one in the UK Government (elected in Scotland or otherwise) made any acknowledgement that Scotland was actually subsidising the UK. 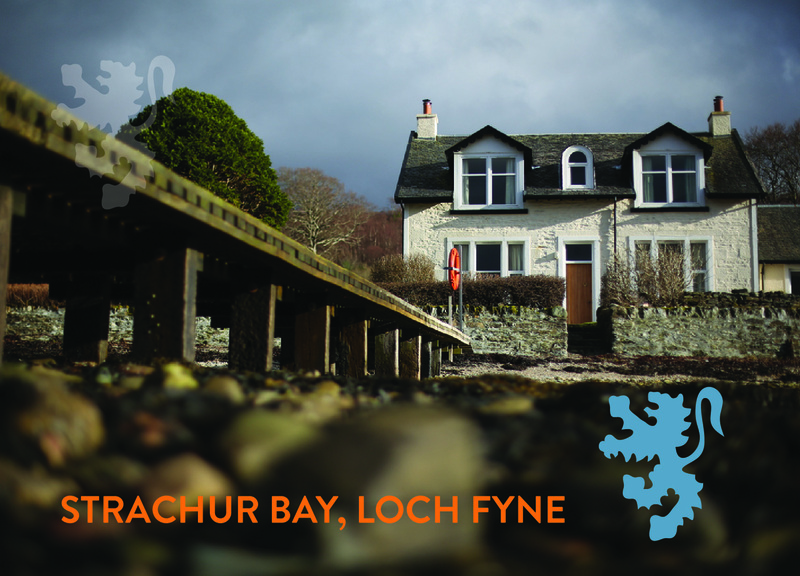 Resultantly, over time the burden of the UK debt payments on Scotland’s economy started to weigh it down and this meant that the surpluses declined during the 1990s and the cumulative surpluses were eaten up by UK debt related deficits, and now as a result the GERS reports show a cumulative illustrative deficit of £162.5bn. Now Unionist politicians claim that if you simply deduct the UK debt interest, that Scotland’s accounts would still show a deficit, but that is a massive disconnect from reality and requires a massively incompetent miscalculation as it is a fact that as an independent nation Scotland would have possessed those cumulative surpluses of £36bn to re-invest in Scotland’s economy. Scotland would also have retained the £89bn of debt interest charges as it wouldn’t have needed any debt of its own, and adding those surpluses back in and also deducting the debt charges would have changed everything. So the deficit figures stated by Unionists politicians clearly represents Scotland’s fiscal performance as part of the UK, but ask yourself; how could an oil-rich nation with a highly developed onshore economy be in that much in debt? The simple answer is that it isn’t. Those deficit claims assume that the surpluses disappeared into thin air, but it’s a fact that the surpluses would either have been invested to grow Scotland’s economy, or maybe put into an oil fund like Norway’s. 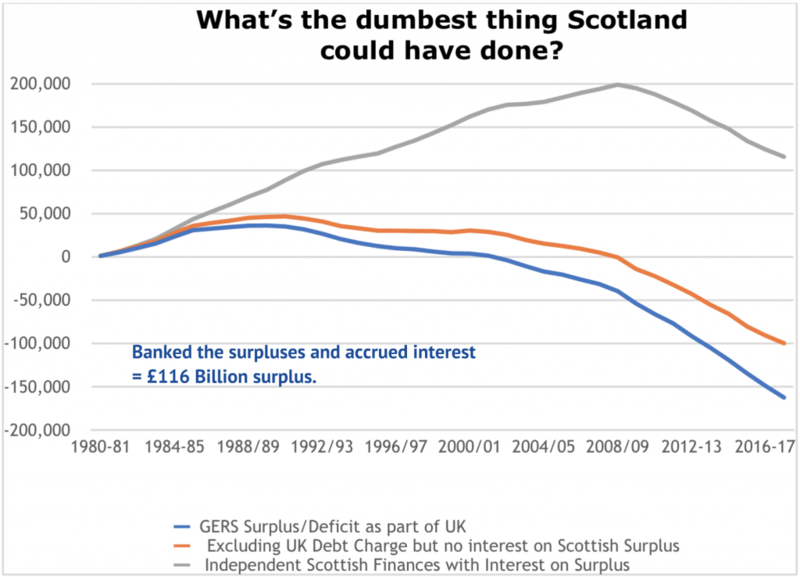 Scenario two – “What’s the dumbest thing Scotland could have done?” That is to say, what is the lowest rate of return Scotland could have received on those 1980’s surpluses? As an independent nation, what if Scotland’s Government was so totally incompetent that it could not figure how to invest those massive surpluses and so it did nothing with them but stuff them in a bank, let them gain interest at the market rate, and then made all the same bad economic decisions and mistakes as Westminster did, so that revenues didn’t rise – what would have happened? Well, those cumulative surpluses, plus standard bank rates of interest, would have topped out at £198.8bn in 2009/10 and then started to fall till we had £115.5bn in the bank today. Yes, that’s right, the very dumbest thing Scotland could have done as an independent nation would have left Scotland £278bn better off today than GERS currently indicates we are. 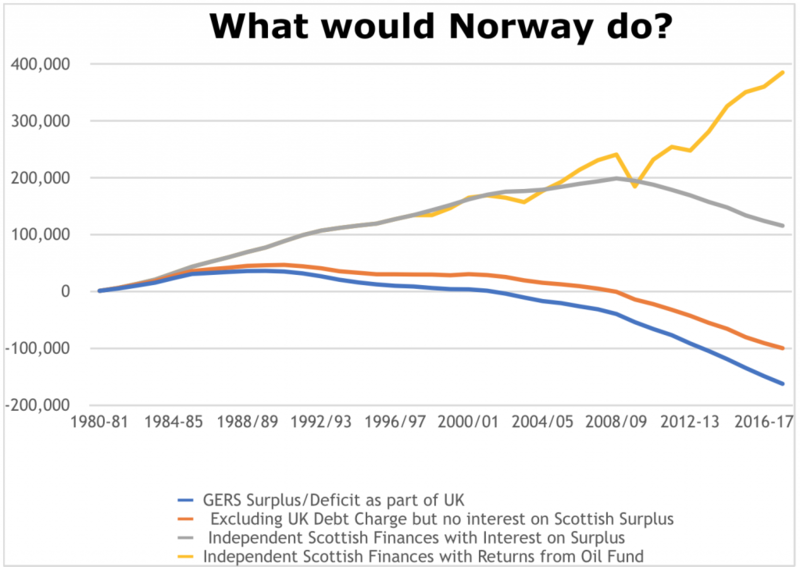 Finally, scenario three: “What would Norway do?” Let’s assume Scotland’s Government just banked the early surpluses until they noticed Norway was starting an oil fund and decided to copy them. Applying the same annual rates of return that Norway received on its investments and not a penny more, since 1998/99 Scotland’s national oil/pension fund would now be worth £385bn. Remember that Norway is a small to medium sized independent Northern European nation with roughly the same population size as Scotland and has produced 3% less oil than Scotland. Norway’s sovereign wealth fund value today is worth £804 billion – that’s a lot more than I am saying Scotland would be worth because I have used the low revenues that the UK’s mismanagement of Scottish Oil and gas resources generated not the much higher Norwegian ones. For example, Norway expects £21 billion from oil and gas revenues in 2018, whilst the UK Government forecasts a mere £0.9 billion in 2018-19. If an independent Scotland had done the dumbest thing it could have done with its 1980’s surpluses then as a nation Scotland would be £277 thousand million pounds richer than it is according to GERS as part of the UK today. It’s fair to say that in 2014 many people just didn’t believe BfS when we explained that Westminster was completely economically incompetent. That Westminster truly didn’t care about the impact of it’s policies on Scotland and was deliberately acting against Scotland’s best interests. Now, however, Brexit is making that thinking more mainstream, and slowly but surely, as Brexit unravels more and more people will begin to see that Scotland can not afford to subsidise this failing, disinterested and dysfunctional Union. The evidence is clear – the UK Government has created a situation where Scotland’s finances show a false deficit, one that is not related to the economic performance of Scotland. Then Unionist politicians and the highly biased mainstream media point to that false deficit and say that it is proof that Scotland can’t afford independence. This will continue until the SNP Government becomes more assertive and gets better at explaining what GERS actually measures to Scottish voters. Whilst it may be true that historically Scotland wouldnt have had to borrow had it gone independent back in the 70s, that is not the same thing as going independent today. All this post says is that if Scotland had gone independent 40 or 50 years ago, then it would probably be a lot richer than it is today, because all that oil wealth could have been spent on 5 million Scots rather than 60 million Brits (hoard the wealth!). So no, as a view of what Scotland would look like as a historically independent country, GERS is rubbish. But then, that wouldnt be very helpful anyway, because Scotland didnt go independent 40 or 50 years ago. So the point is moot. All that you have left is a rather weak argument that Scotland wouldnt have to pay any share of the total debt that the UK has currently accumulated. Of course, much as with the UK negotiating Brexit, Scotland would need rUK goodwill to come out with an indy agreement that didnt result in a serious impact on the Scottish economy. So walking away from all that debt would be a fairly untenable position to take. It is not a moot point because it provides case study evidence that the UK has economically oppressed Scotland and the Scottish people (alongside the regions of England and other smaller constituent nations) with a policy of draining all the wealth opportunity and power towards London. London Rule is not beneficial to Scotland. Brexit will have a serious impact on the Scottish economy and there is zero goodwill towards Scotland there, stripping powers promised to the Scottish Parliment (and they will need to take more including NHS in order to do trade deals with USA etc) so you present a choice of a risk of “no goodwill” in negotiations that will eventually lift the economic oppression of Scotland verses “no goodwill” and allowing Brexit to deepen the economic vandalism of Scotland’s to the detriment of the Scottish people. You also simply assume that the rUK holds all the cards in independence negotiations but that is a massive oversimplification and the type of Brexit will also impact on the balance of power in those negotiations – more on that on this site soon. Richard Murphy covers this well. It is well worth taking a look at his blog from time to time, he does not get enough coverage in my opinion. What I want to know is why BfS is telling us this and not the Scottish Government? Surely they should be loudly making the same point? 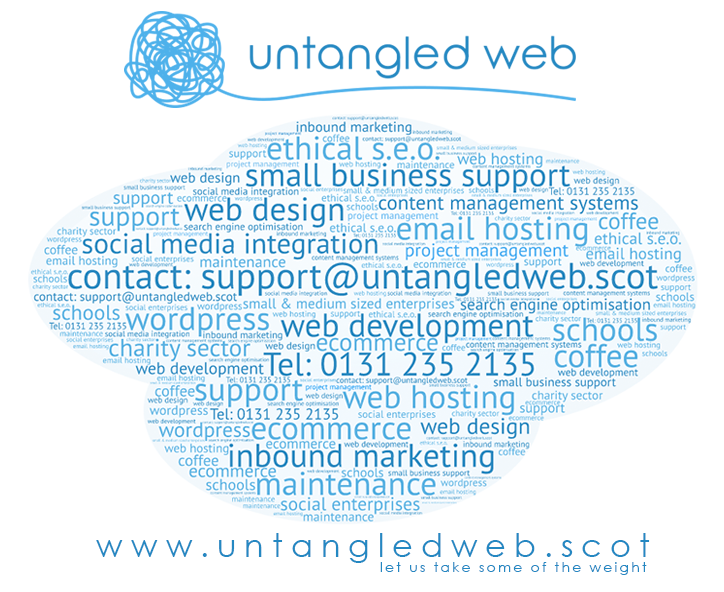 We are 10% independent of the Scottish Government and the SNP we do research and then seek to advise and influence them just as any other Business Network or Think Tank does. There is usually a lead time between our promoting a policy or an analysis and them accepting it. In this case its been about 5 years! I would also like BFS to look at ways of contesting misinformation in the economic pages of the msm – see below from the Guardian – Also how are oil revenues to Scotland calculated by Westminster ? is it through the Barnett formula ? or just a straight 8.5% ? The latest Government Expenditure and Revenue Scotland (Gers) data for Scotland shows that for 2017-18 overall state spending hit £73.4bn compared to tax income of just under £60bn, including oil revenues. That left a deficit for the year of £13.4bn, compared with £13.5bn the year before. Scotland’s deficit was equivalent to 7.9% of GDP, while for the UK as a whole it was 1.9%. Nice write up and makes sense for a lay-man like me. 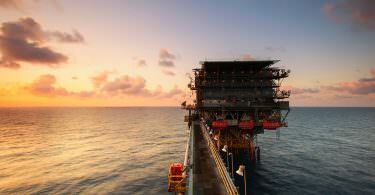 What I’d be interested in is how the taxation regime varies between Norway and the UK in regards to Oil and Gas. I am not sure that we are able to see actual revenue before taxation and rebates…How can Norway predict £21B and the UK only £0.9B….their output can’t be 20 times higher is it? Excellent article. Will share and share again. However ,maybe we should be making a harder/political response to these reports. Can we not produce a set of accounts based on other small countries eg Denmark or Norway and use their numbers for what the UK estimates? Can someone better informed than I, confirm if VAT, Corporation Tax etc. paid by companies operating in Scotland but having their head offices elsewhere in the UK, is accounted for as being generated and paid in Scotland or included as part of the overall tax returns from company’s HQ, located elsewhere in the UK? Send a copy of this to Rennie and Fraser at the BBC Stockade. You are correct of course. we must ram this GERS lie down their throats during Indyref 2. And attack attack and attack again the MSM and Brit Nat Unionist lies on pensions, EU membership, Trident, and so on. They can keep their pound too. We’ll have 1/8 of the value of the Bank of England(sic) for starters. GERS is simply BRITNAT propaganda. For a total demolition of GERS see Wings over Scotland. This analysis adds to the GERS demolition but Wings knocks it into outer space. The fact that the BRITNATS have carried out this fraud proves the lie that we are all one big happy family. A happy family that one member rips off the other member. No – dissolve the union now. Great article in plain language. Why can’t the SNP say this and why do we get the same tired statements from them every time the GERS bandwagon ( copyright Ian Lang ) rolls into view. GERS do not tell us what an independent Scotland’s accounts would look like. 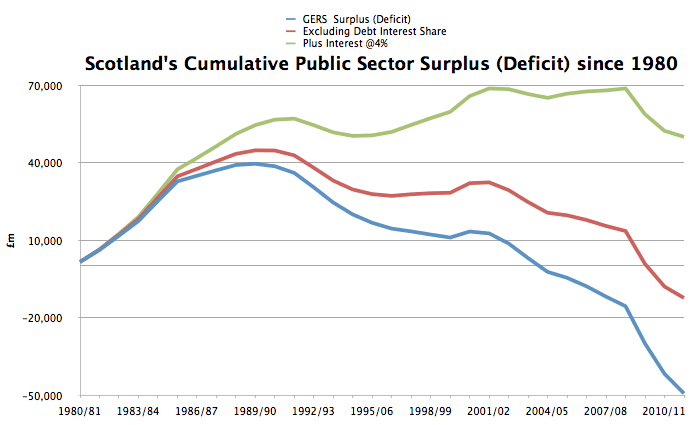 There might be a surplus, there might be a deficit. Trying to make any prediction for independence based on GERS isn’t logical. GERS is composed of figures that do not show an independent current account. Trade between Scotland and rUK is not measured (at least not in any accurate or meaningful way) and elements of trade between Scotland and the rest of the world are not clear either, due to the way imports and exports are recorded coming in and out of the UK. There is also the inherent make up of the accounts that attribute certain amounts for certain ‘shared services’ – defence, loan payments etc. And the contested way in which such things as oil revenues are attributed of course. It is also acknowledged that some figures are estimates. 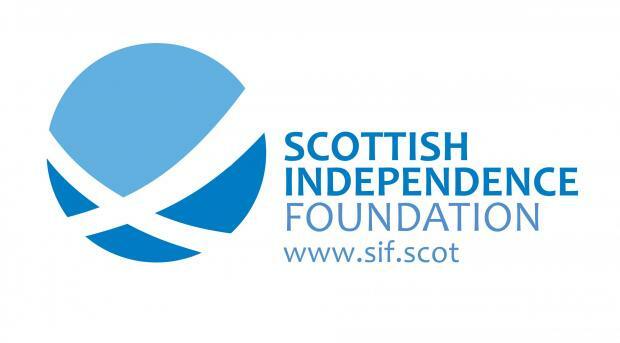 Craig Dalzell considers that GERS is better than it used to be, but it is still firstly an inaccurate account, and secondly it is not an independent account – in the sense that Scotland cannot be identified as a totally independent financial accounting entity from the rUK. Criticising GERS for how it portrays the Scottish economy withing the current UK is one thing, but with independence and monetary sovereignty the situation changes completely. Using GERS to aid analysis of independence is starting with too many wrong and false assumptions. Throughout all this there is an assumption that deficits are bad and surpluses are good. That a country has to be run like a business and generate a profit. Well, what if independent Scotland (like England and so many other countries) is a net importer? What if Scotland does not become an exporting powerhouse like Germany? The narrative has to change, and that requires a paradigm shift away from the neoliberal orthodoxy. Just because everyone thinks the “household budget” analogy is correct doesn’t make it so. So if independent Scotland is a net importer, how can it be explained to people what’s going on? If they really want to stick with the ‘household budget’ analogy, and insist that Scotland must generate a surplus, then it’s back to austerity. And that works really well, doesn’t it? What’s the answer? Learn #MMT. Learn to use the power of currency sovereignty. Understand that deficits are not evil, that debt-GDP ratios are non-sensical, that household budgets do not apply to a monetary sovereign, and that eht public sector deficit is the private sector savings. So, knowing the public sector deficit is the private sector surplus, that balancing the budget is not important, what is important? Balancing the economy is, that should be the objective. That deficits are not to be feared, but used for the public good is the foundation, build on that. With that knowledge it is then possible to build a better informed and progressive economic agenda for independence. To be clear I don’t think deficits are bad, and indeed you could just call them investments in the future and everyone would see them differently. The aim of this article is simply to show that the illustrative deficit is not even caused by investment in Scotland but in another part of the country. “would not be required to bare” wee grammo there… 🙂 Great article though. What I’d like to see is some account of where the Oil revenues are and went, and what that would show for how much surplus we would really have. It also pains me that the Scottish Government seem to meekly accept this fiasco year on year.